Travel agents and experienced cruisers agree that the most frequently asked question they get from first-time cruisers involves appropriate wardrobe. The answer has become complicated as our culture evolved into a more casual society. Many older folks agree, they never imagined most traditional offices would now allow business casual, or even casual, dress codes. Additionally, more people work at home or telecommute these days. As our culture has changed, cruise lines have become open to a more casual atmosphere. Sailing ships and yacht-like ships, such as those operated by Un-Cruise Adventures, have a casual dress code. Norwegian Cruise Lines, Princess Cruises, Holland America Line, and others with traditional formal attire nights have loosened up their dress code for dinner on ships as they have moved to open seating for dinner. Other cruise lines have made formal attire optional or decreased the number of formal nights, as well. 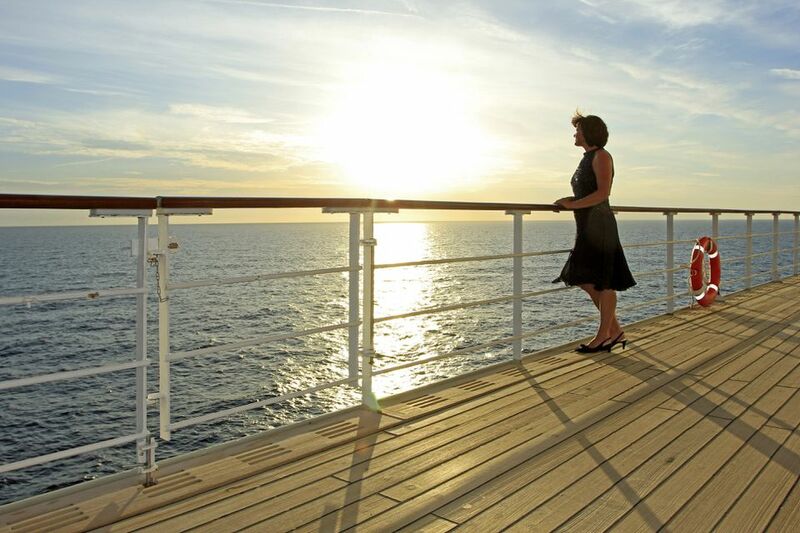 Cruise lines are attempting to match workplace attire changes. If passengers don't buy dress clothes for work, they may not want to buy new wardrobe for vacation. In addition, to attract younger cruisers, ships are providing more flexibility for passengers in dress, shore excursions, and shipboard activities. Finally, people today are much more likely to express their individuality and diversity than they were when the first cruise ships started sailing in the 1970s. On the other hand, some people love to dress up, and going on a cruise gives them a good excuse to do so, especially in a more casual society. If you purchased a gorgeous formal dress with sequins or a fine tuxedo, you want to show it off. After all, we all look so good when we make the effort. However, if half the people at dinner are dressed in khakis and golf shirts, it tends to ruin the overall atmosphere for the formally-dressed passengers. In addition, many passengers do not want to stand out in a crowd as being overdressed. Don't you remember that your mother always said it was better to be overdressed than under-dressed? However, even that rule seems to be changing. Usually, traditional luxury cruise lines have one or two formal attire nights on each seven-day cruise. Men wear tuxedos, but dark suits or even sports coats have become more prevalent as our society has dressed down and cruise vacations have become more mainstream. It's harder to determine what women should wear. Cocktail dresses (long or short) seem to predominate on these nights, but "Sunday dress" seems just as prevalent. Certainly, ladies have more flexibility than the men do. For other nights, standard dress for men and women is often country club casual, which prohibit jeans, tank tops, swimwear, and shorts. You will see sport coats and collared shirts on most men and pants suits or casual dresses on the women if you are on a ship that features country club or cruise casual. Sometimes at the captain's dinner, it will be more dressy, but as noted before, you will see diversity in dress. Always confirm dress codes for dinner before you book. Your travel agent, cruise line, or Internet bulletin boards/forums should help determine the appropriate dress code. With all the cruise ship experiences available, there is something for everyone, no doubt.